Ice Cube (Large) Size – 28 x 28 x 32 (mm) approx. 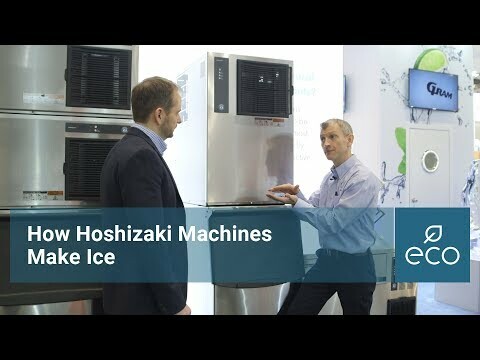 Hoshizaki’s Emerald Class Ice Cube Machines are HFC modified to have higher savings and utilises natural refrigerant R290. Set includes Ice Machine unit and modular Bin as standard and has a Stainless Steel finish for maximum quality and hygiene.